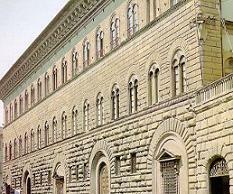 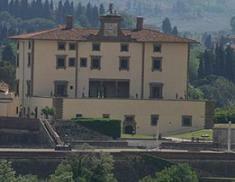 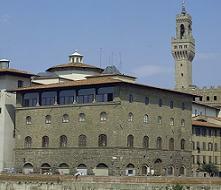 The Palace of Podestà or Bargello, was begun in 1255 by the Florentine 'People' for his Captain. 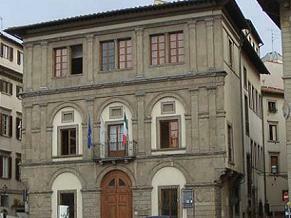 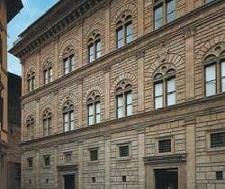 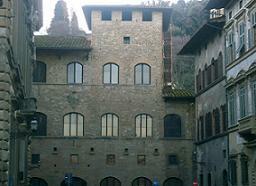 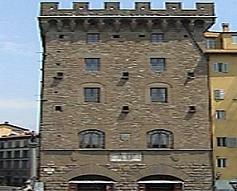 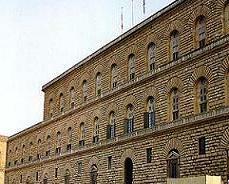 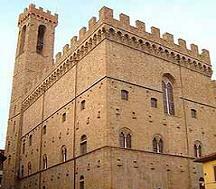 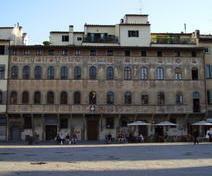 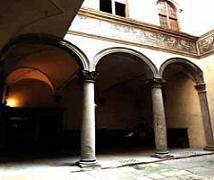 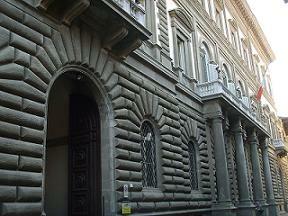 From 1574 it was the seat of the Bargello or Captain of Justice. 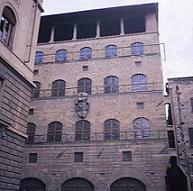 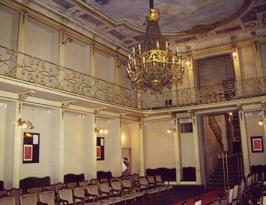 In this period the interior of the Palace was transformed into prisons. 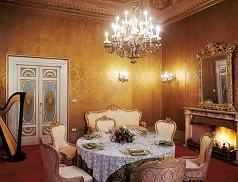 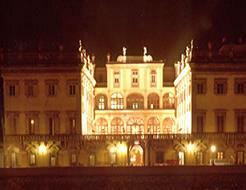 In 1857 began the restoration of the palace demolishing the superstructures which were altering the interior. 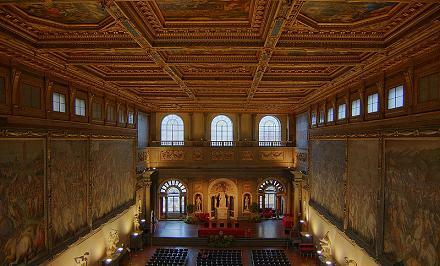 The patrimony consists in about 30.000 pieces among coins, tapestry, ancient weapons and other objects of art besides some statues of the XVI century. 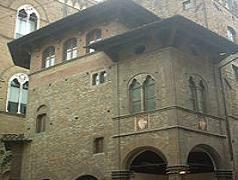 Sculptures of Giambologna, terrecotta of Della Robbia, works of art of Verrocchio, Antonio del Pollaiolo, just to mention some. 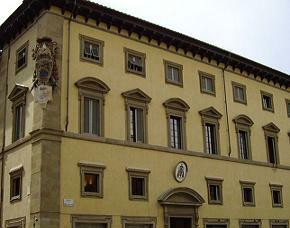 Four masterpieces of Michelangelo: Bust of Brutus which is the ideal portrait of Cesar's murderer, the marble Tondo representing Madonna and Child and St.Giovannino, L'Apollino and the Drunken Bacchus. 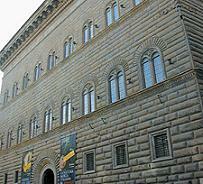 Moreover there are shown: the marble statue of St.George, Young David in bronze, both by Donatello. 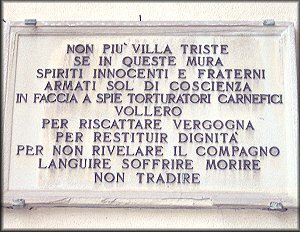 Notice in particular the beautiful terracotta of the sesto of Saint John (San Giovanni). 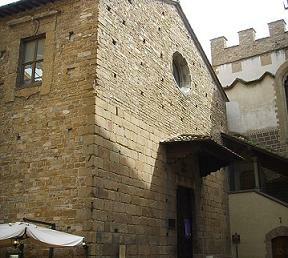 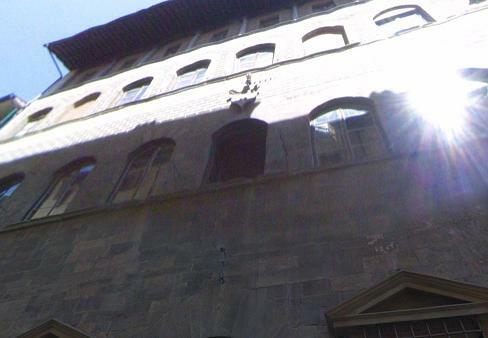 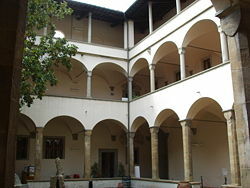 From the courtyard you can see the antique sculptures hall, and the second floor the beautiful Podestà 's chapel. 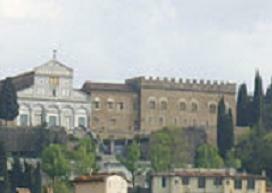 The frescoes of the chapel were uncovered in the 1840's and are attribuited to the school of Giotto. 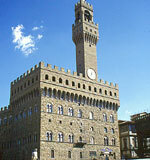 They illustrate a scene from Paradise where we recognize the portrait of Dante.